I’m trying to round out The Babe’s learning experiences across all types of subjects. As much as my musician friend Zoe would hate to hear this, I’ve been a little lax in the music area. 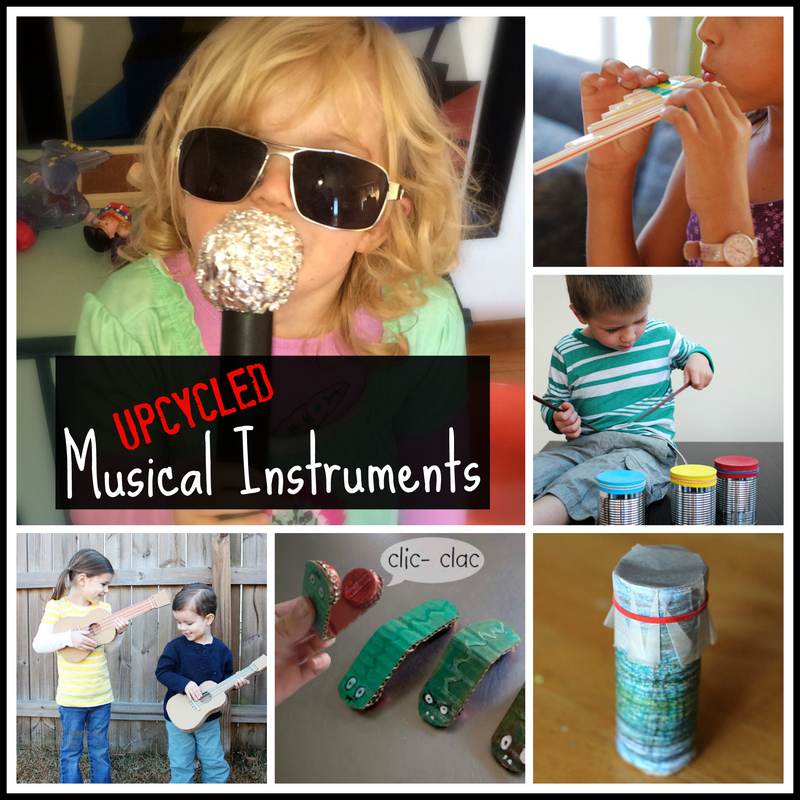 So here goes… Let’s make some upcycled musical instruments with whatever you have on hand. 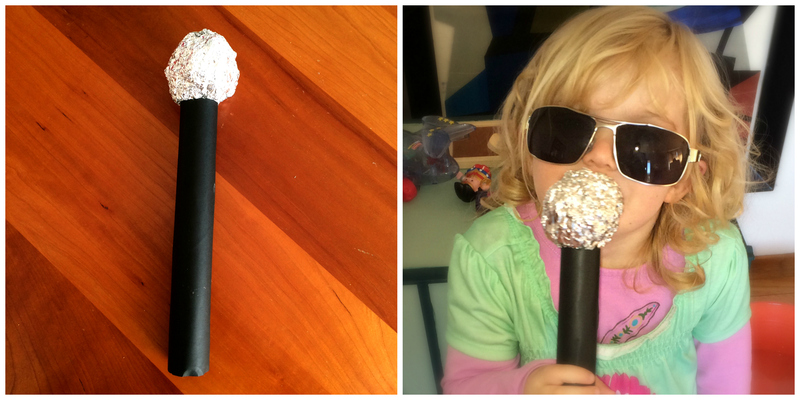 We want to make one of each of these so we can have a family band :) Until then, The Babe had fun as a little Diva dancing around with her new microphone. I love how you can make a drum and shaker all in one with Mini Eco’s Homemade Bongo Shaker. Clicky Crocodile from El Hada de papel is perfect for smaller hands. The Homemade Kazoo from Preschool Crafts for Kids* is really easy. Now just to teach the younger ones that you have to hum, not blow into a kazoo (harder than it sounds!). The Singing Straws from Krokotak are a great way to build muscle tone around the mouth, essential for kids struggling with many types of Sensory Processing Disorders. 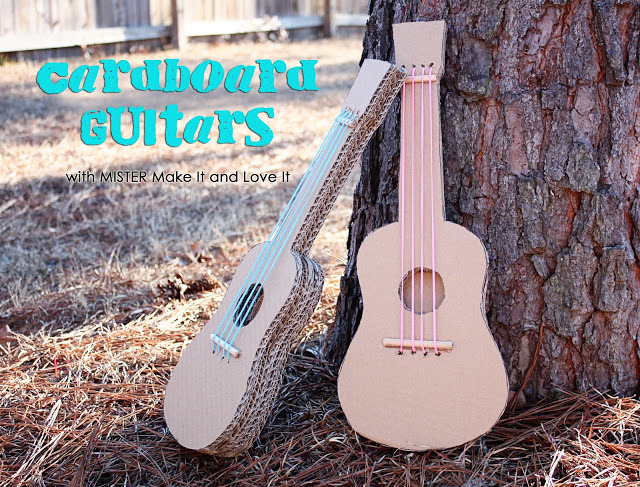 Cardboard Guitars from Make It and Love It are a fun, slightly harder project. 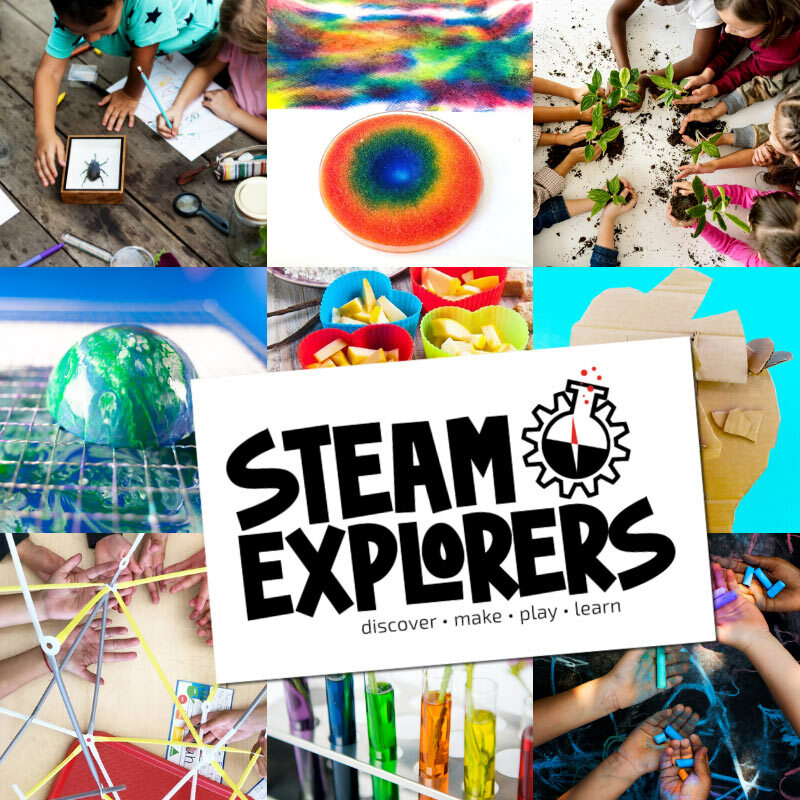 Perfect for older kids or when you’ve got extra time on your hands. What’s your favorite instrument? I bet you can dream up a way to make one out of your recycling bin. Send of pic of the fun stuff you make. I’d love to see them!